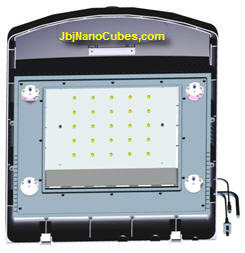 JBJ has taken the world by storm with their nano tanks and this model is certain to be a bestseller in the aquarium world both retail and wholesale. Comparable in all aspects to the HQI nano but produces very little heat in this fish tank as the LEDs are 3 Watts each. You know what that means for all of you high light aquarium lovers who need a ton of lighting for your clams, corals etc. No Chiller needed!! 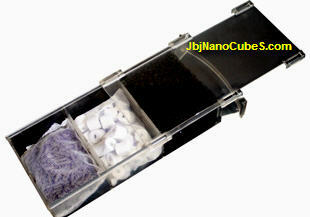 JBJ launches the innovative advancement for the popular 28G Nano Cube Series. Our high intensity LED illumination system offers the power of halides and the broad coverage of T5 lighting with over 10x the lifespan. It requires less energy consumption, is cool, and offers mesmerizing shimmering while being eco-friendly. 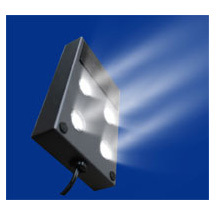 High intensity LED lighting features the ability to dramatically increase PAR (Photosynthetically Active Radiation) which designates the spectral range from 400 – 700 nanometers for the growth of photosynthetic organisms while lowering energy input. Amazing 50,000 hour lifespan with a 30% reduction in output. less energy puts less greenhouse gas emissions into our environment. Our 89 Watt LED system offers comparable PAR output to our 150 watt HQI – 14K canopy system, while consuming approximately 40% less energy. Enjoy the mesmerizing shimmering of all 3 light cycles generally only found in nature. Since LEDs turn on to full brightness without having to warm up, you can instantly light up your aquariums without the wait. These innovative diodes radiate heat upwards and away from the water to reduce unwanted heat transfer that can be detrimental for aquarium livestock. The secret to our cool running hood is our stylish canopy which houses an efficient aluminum heat sink for quick heat dispersion. All canopies are constructed from Flame Retardant ABS Plastic. The 4 cooling fans automatically turn on/off with the main lighting system. A thermal protector is also incorporated to automatically shut off the lighting system in case the fans fail. It will automatically turn back on once temperatures reach safe conditions. New feeding lid weighs less than the previous full front lid. 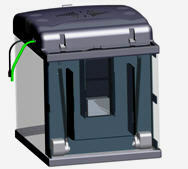 Grants quick and easy access for feeding and retrieving water samples without raising the entire hood. The filter begins as water enters the center overflow. The water flows into our 3-Stage Filter Media Basket, which is installed with a mechanical sponge, chemical activated carbon, and biological ceramic rings. Our distinctive 3-Stage Filter Media Basket can host a variety of chemical media to meet your needs. Cleaning is particularly convenient, since all you have to do is lift up on the basket handle and watch the water drain out the bottom for a simple and dry filter change. All baskets have a sliding door for added convenience. Our recently redesigned filter basket is now transparent for easy refugium conversions. Simply add macro algae (eg. Chaeto) into chamber one and chamber two. 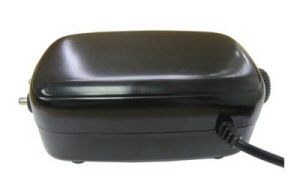 We recommend leaving the activated carbon in chamber three with a small piece of the mechanical sponge before the water exits to prevent algae clogging pumps. 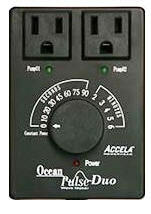 Our retooled Ocean Pulse Duo now includes a memory chip for flawless performance after a power failure. 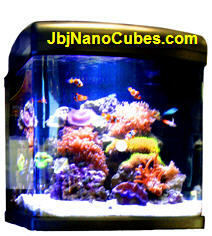 Our 2nd generation stand is the ideal companion our 28G Nano Cube Aquarium. It offers a chiller storage compartment with pre-installed side vents for needed airflow and a shelf for storage. This chic design raises the tank off the pedestal with 4 chrome cylinders to showcase your living reef. 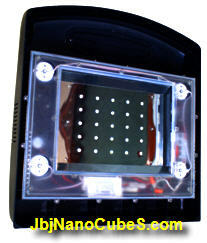 We are sure you will love the 28 LED Nano Cube. 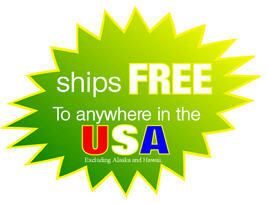 Be sure to email us any questions you may have on the 28 LED. 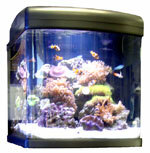 JBJ Offers Innovative Aquariums and supplies for the Freshwater and Saltwater Fish tank lovers.